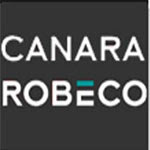 The quantum of dividends will be Rs 1.00 per unit under Canara Robeco Equity Diversified Fund and Rs 1.50 per unit Canara Robeco Balance Fund as on record date. The record date for the dividend pay out has been fixed as October 14, 2011. The schemes recorded NAV of Rs 23.0300 per unit and Rs 50.4000 per unit, respectively as on October 7, 2011.